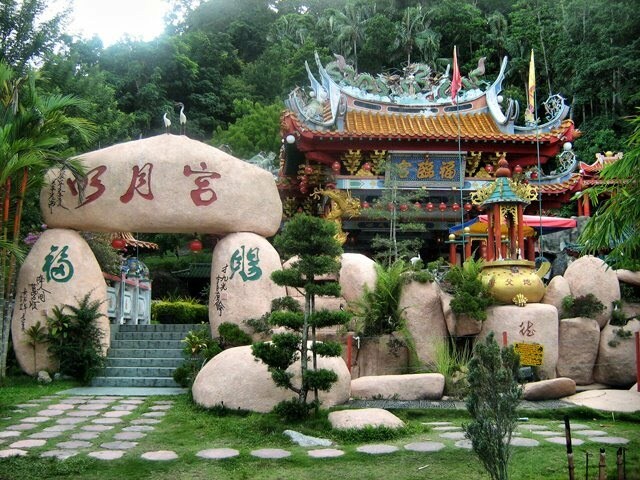 Situated on the east coast of Pulau Pangkor, the Fu Lin Kong Temple is the biggest Taoist temple in the island. There are a number of Chinese locals in Pangkor Island following Taoist teachings. The temple is the center of worship of Taoism in the island, the religion that follows the teachings of Lao Tze, a great Chinese philosopher. The temple is located in Sungai Pinang Besar village, at the bottom of Pangkor Hill. It is one of the most popular Chinese temples in Perak and every tourist visiting Pangkor should take a glimpse of the scenery and colorful landscapes surrounding the temple. Every year, more and more Chinese tourists visit and pray in the temple to acquire blessings from God. Other tourists from different countries also visit this famous temple because of the natural and beautiful surroundings that are ideal for photo activity.